Featured here is the Church of Rabil. 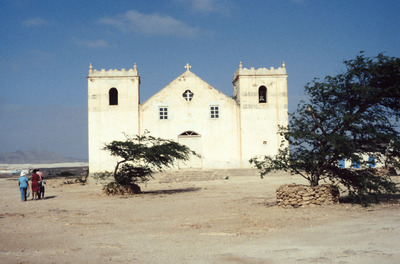 Since this photo was taken in 1988, the church has undergone a few changes. The building now features grey-blue accents around the windows as well as running parallel to the edges of the two rectangular structures on its sides. These changes are also accompanied by a red front door.